Rebecca with a 225 Bench Press Top Hold. A great way to get stronger and improve your mental confidence in bench press is to do heavy bench press holds. With a bench press hold you would go anywhere from 5-25% more than your current 1 rep max. All you do is hold the weight as if you were starting a bench press. From there you just hold the weight for 5-10 seconds. No bench press and no lowering. 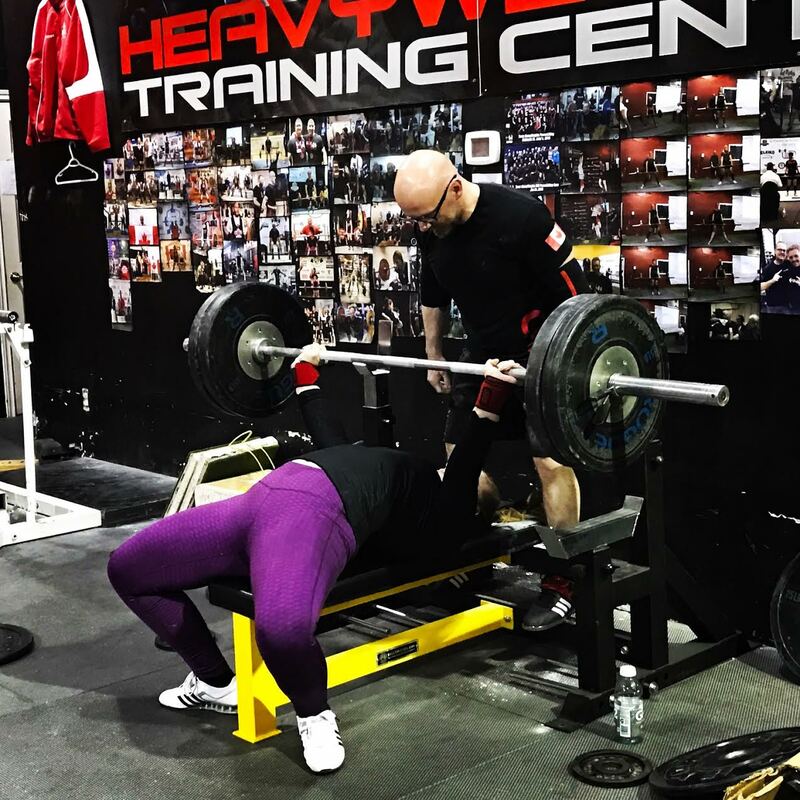 Heavy Bench Press holds are a great way to jack up your CNS (Central Nervous System). Once a weight feels comfortable in your hands you have a much higher chance of getting the lift. In one of my workouts with Rebecca we did a 225 lb hand off hold and then we did the overload bench pressing using a Titan Super Ram to really jack up the weight she can lift in bench press. NOTE: Always have a spotter and if possible a 3 Point Spot when doing this exercise. There is always a possibility that something can go wrong so train hard but train safe. If you are looking for a great over load tool for your bench press check out The Sling Shot. Read my article on Testosterone Nation Crush Big Weights With This CNS Trick for more info as well. If you found this article helpful please leave a comment, like and share.